As you’re brushing your teeth in the morning you monitor a digital display mirror that shows all your relevant information for the day: Schedule of appointments, weather and battery levels of all your devices, including your phone and BMW i3 electric car in the garage. While driving the car detects other vehicles on the roadway and communicates with them, staying the perfect distance away for safety and efficiency. Each passing car relays its coordinates, which your car analyzes to calculate the threat of a crash potential. On uphill climbs that the car has identified in its three-dimensional topographical navigation system, the car devotes additional electric power to the engine to help conserve gasoline. At the crest of the hill, the battery power turns off so that it’s ready to regenerate during braking on the downhill descent. At your appointment the car finds a parking spot and pulls in. From inside the meeting you double check your phone to ensure the car was locked safely. When you’re ready to go home, the car pulls out of its spot, drives home, re-parks in the garage and plugs back in to charge up. The connected car is already a reality. General Motors was the first to introduce a telematics system in the 1990s with the introduction of OnStar, which allowed drivers to call for roadside assistance from their vehicle. Since then the market has exploded with connected car features and experts say it’s just the tip of the iceberg. Market intelligence firm Parks Associates estimates that 30% of car owners can connect their phone to their car to make phone calls. Almost all new cars offer connectivity with at least phones, and usually external Internet services at least as an option. We’re moving past the early adopter phase of connected cars. Connecting cars to a broader Internet of Things is still in its infancy. “You need a connected home to be able to connect your car to it,” notes Kent. While one in four consumers said they’re interested in a connected lifestyle, the technology to support a broader connected world is not yet ubiquitous. BMW’s location based services manager Stefan Butz says enabling the connected car is a core strategic pillar of the company. BMW has 5,000 employees working on digitalization initiatives, including 300 employees working at the company’s in-house software division called BMW Car IT. 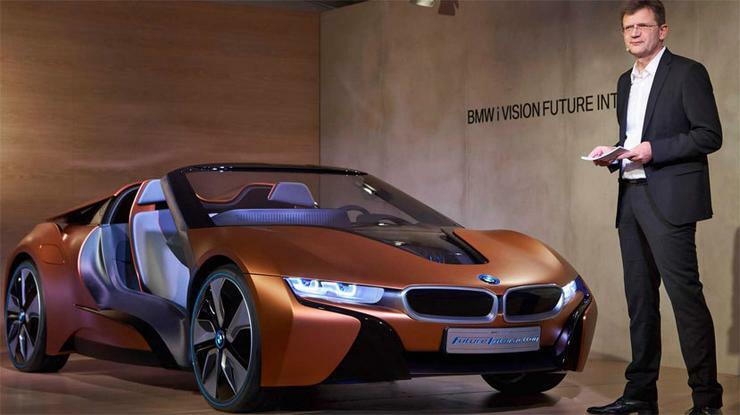 BMW plans to recruit another 500 IT specialists this year to help develop its connected car plans. Within the vehicle, much of this technology will be supported by Electronic Control Units (ECU), which are processing systems in cars. ECUs control everything from the vehicle’s electric systems in the engine to powertrain, steering assist and even the locks on the door. “The ECUs will evolve, will reduce in number but become more powerful individually,” Butz says. BMW and other car manufacturers will work with other technology companies to plug into a broader world of connected things. One company that hopes to play a key role in that is Cisco. Barry Einsig, the networking giant’s transportation executive, says about 80% of the technology needed to enable a world of connected cars and roadways will use existing systems. Intelligent transportation systems and connected signage needs back-end data centers to process information, an MPLS wide area network that provides high availability connections and edge-network routers and switching gateways; all of which is technology currently on the market. The remaining 20% includes new sensors and systems specifically for roadway and connected vehicle systems. Cisco offers a package of systems, which Einsig calls a “Blueprint” for IoT in the automotive industry to enable this functionality. 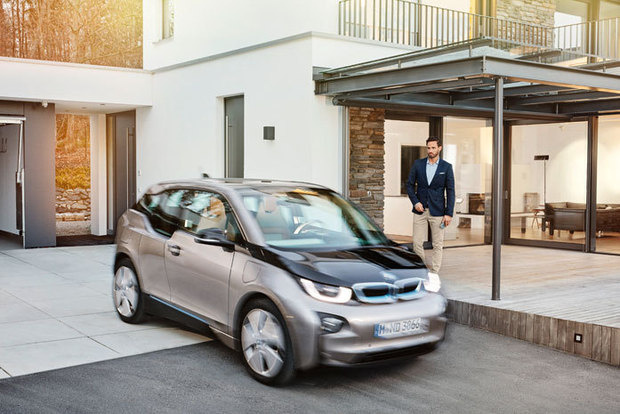 At the 2016 Consumer Electronics Show in Las Vegas, BMW showcased the i3 electric vehicle as the centerpiece of its vision of a connected car. It also displayed a concept performance Spyder car with even more advanced features, such as having no mirrors, just sensors and cameras around the entire vehicle. Sam Abuelsamid, a senior research analyst at Navigant Research who tracks the automation technology industry, says BMW along Audi, General Motors and Daimler are the leading manufacturers enabling connected cars. Expect to see this technology rolled out in the coming years.